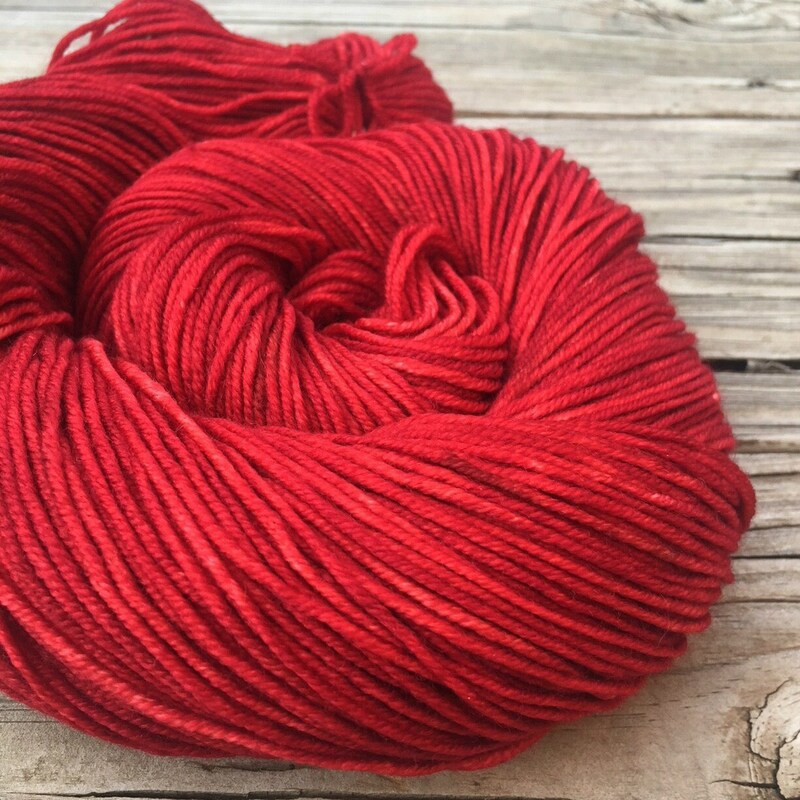 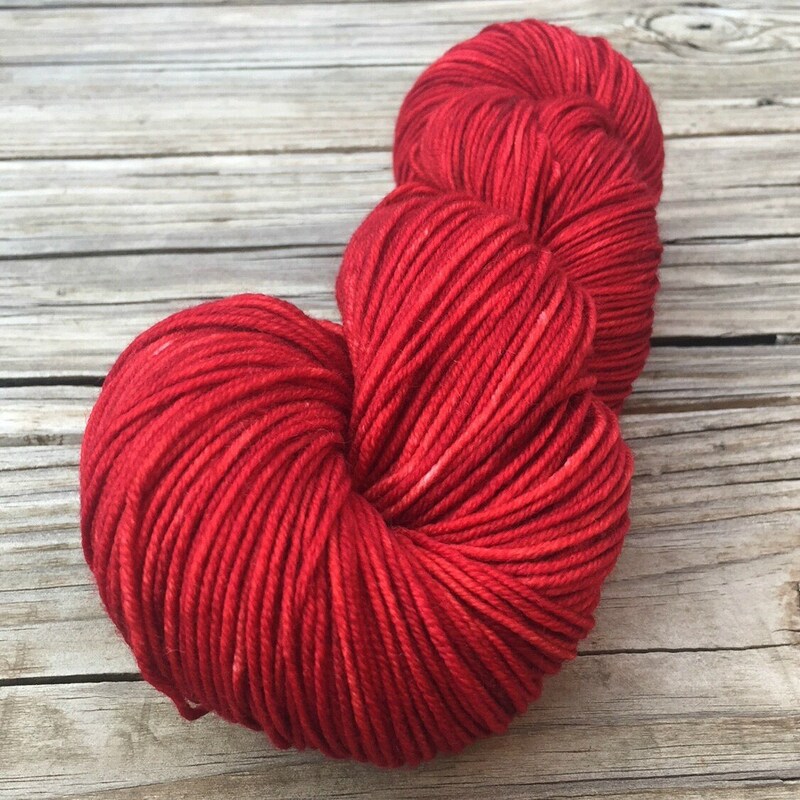 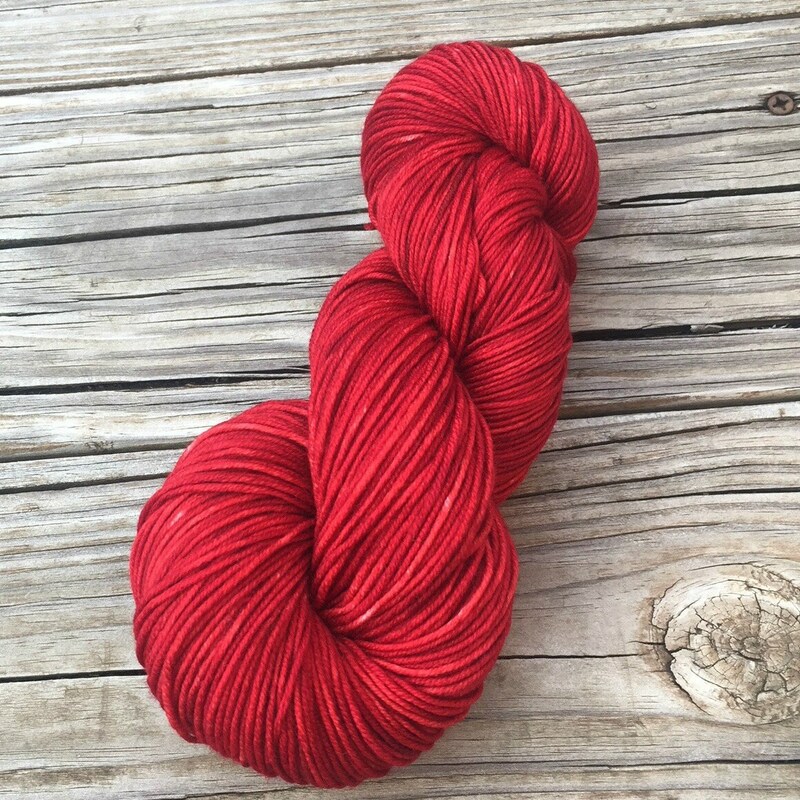 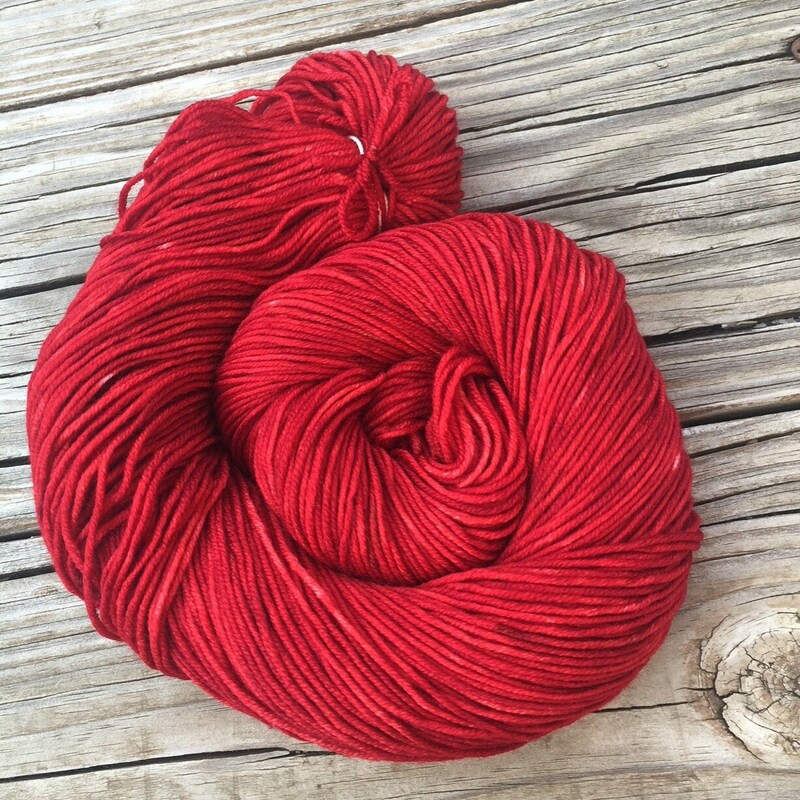 This amazing DK weight yarn was dyed by me with professional dyes in shades of gorgeous ruby reds, super rich color and super rich feel. 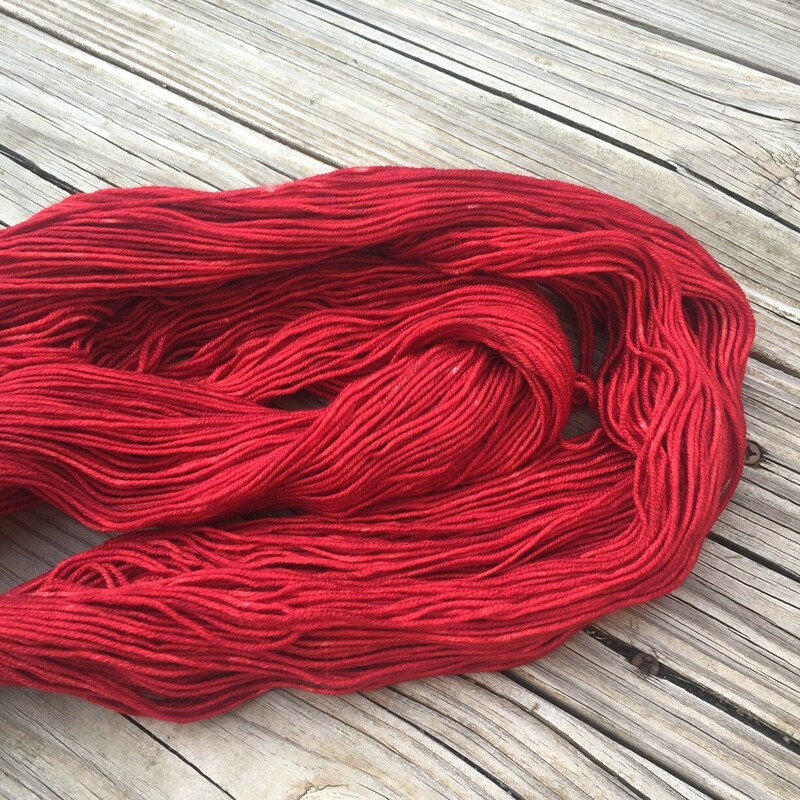 This knits/crochets/weaves into such gorgeous fabric! 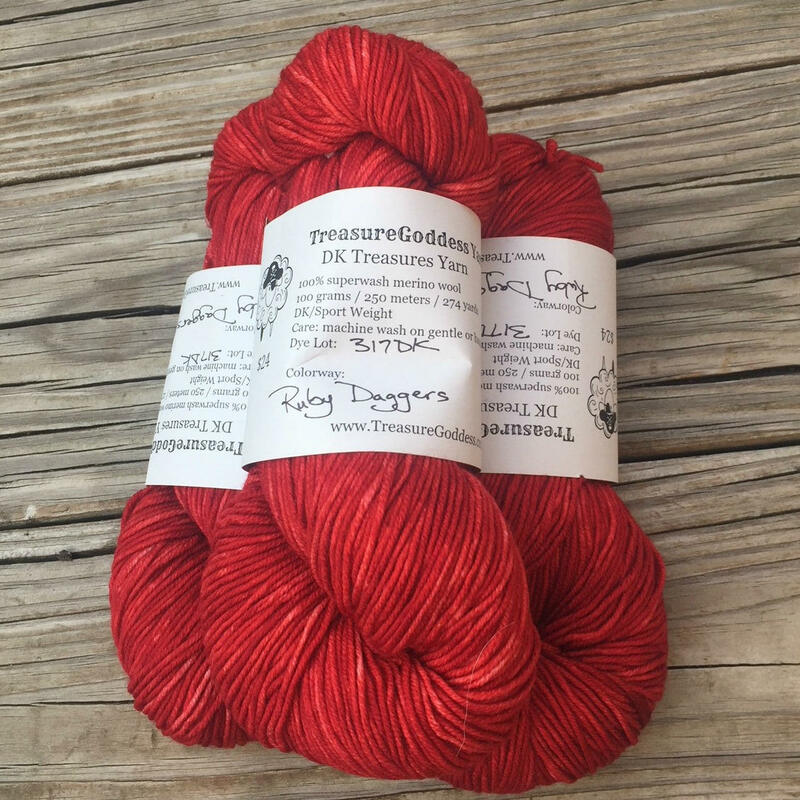 The weight is a light sport weight, or true DK.